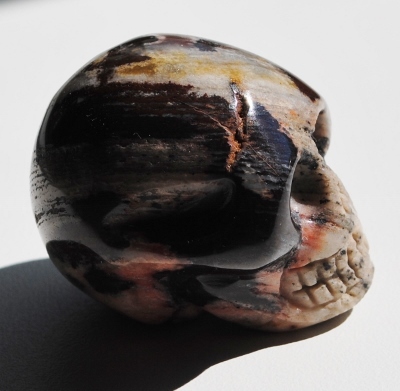 Visually amazing grey, black, white, pink and chocolate brown toned patterned Picture Jasper Polished Skull. Jasper is known as the "supreme nurturer." Picture Jasper aligns the chakras and may be used in chakra layouts. 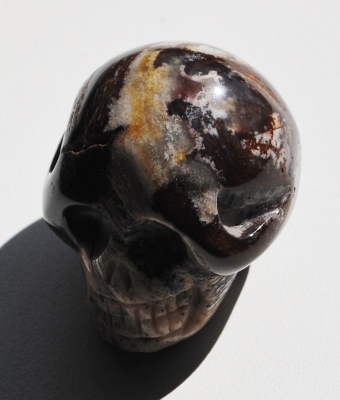 Picture Jasper provides protection and grounds energies and the body. 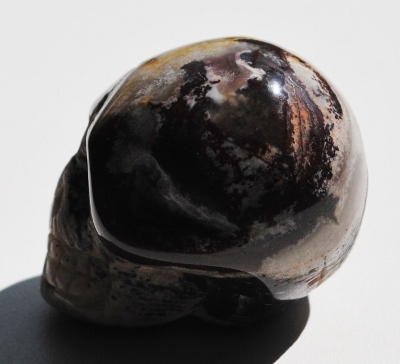 Picture Jasper acts as a reminder that one is not here, on this physical plane, just for oneself, but is also here to bring joy and substance to others, assisting others to release the bonds of constraint. Picture Jasper imparts determination to all pursuits and brings courage to get to grips with problems.